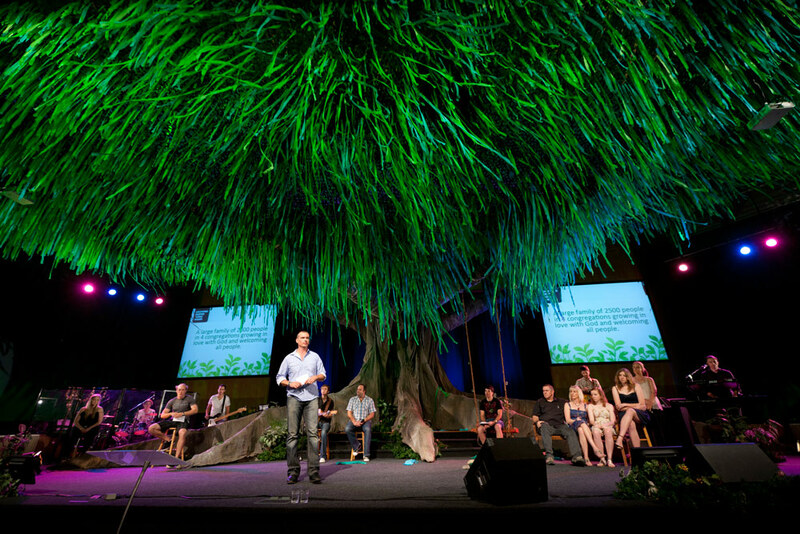 When the director asks you for a big tree for the stage – “whatever massive tree you can get in the building” – and you have standard size doors, no loading dock and a 25m wide stage… whatever tree was going to fit in there was going to look like a bush.. or a shrub.. Our room is large and we needed something bigger. There was so much hate mail when we took her down that we were begged to put it back up. So 9 months later, she went back up and we added a house and some lanterns – you can see that set here. The tree cost $800.